Description Pullman 1939 Instructions/Manual for car service employees working on light food service cars. 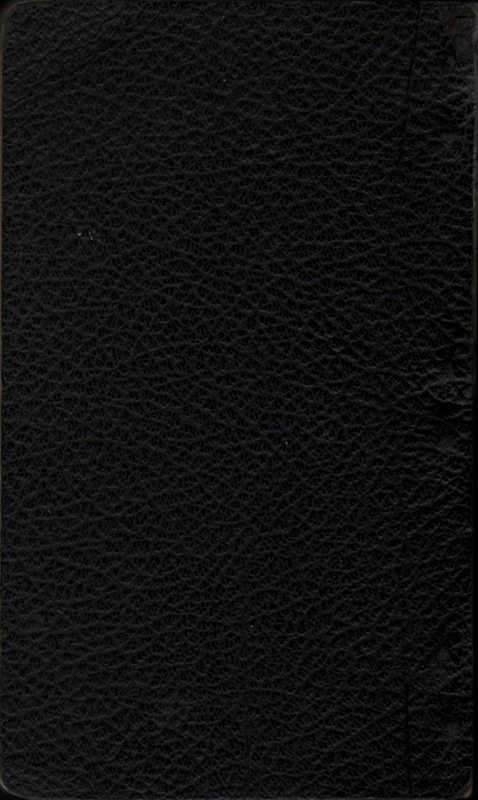 This example has the standard black cover. 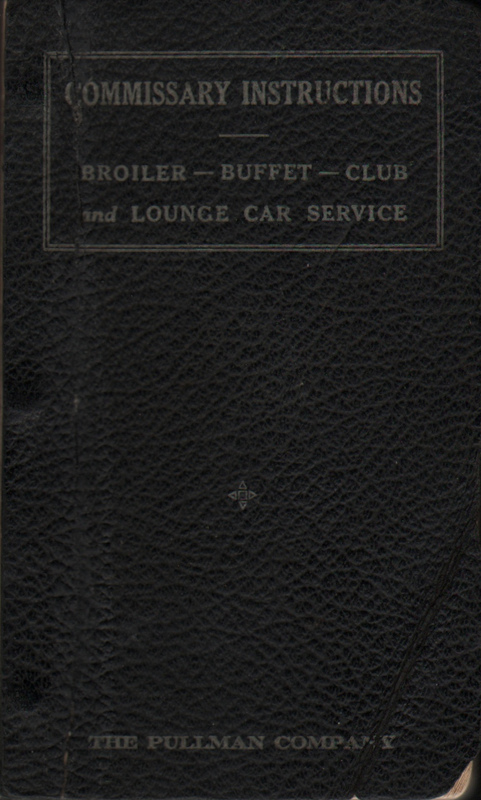 Inside front cover has a stamp from December 26, 1939 for The Pullman Company, D. J. Leonard, Office of the District Commissary, St. Louis. Each manual was numbered and assigned to an Attendant or a car. This manual was number 173 and assigned first to Pittsburgh Club, then to University Club, St. Louis. Also included in the rear is Circular No. 136 - U.S. Government Meal Orders from August 4, 1943.